Don't automatically assume a BMW car is out of your price range. Purchased a used model provides a way to acquire one affordably. BMW's certified pre-owned program can boost confidence since the manufacturer takes many steps to ensure the quality of the vehicle. A comprehensive inspection examines the vehicle from top to bottom. A car must possess less than 60,000 miles to enter the pre-owned program. The mileage level decreases the chances the car suffers from excessive wear. Still, mechanics scrutinizes wear and tear issues. Performance isn't the only thing looked over during the inspection. Attention to safety matters occurs as well. A road test examines handling, safety, and performance from behind the wheel. Looking over the car in a garage only does so much. A road test could reveal a lot more. Why not do your own road test by taking a BMW out for a test drive? 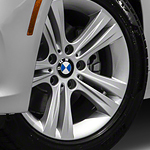 At BMW of Birmingham, we have several models you could try out.